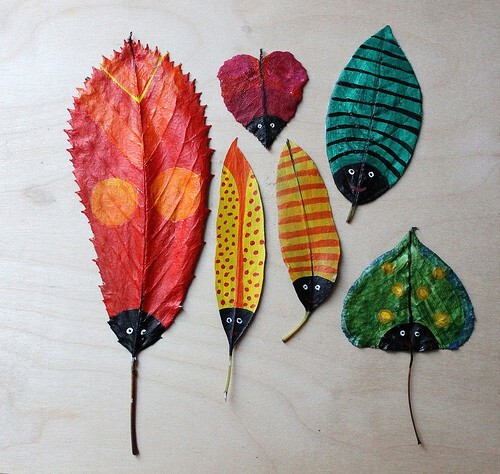 Collect leaves and or flowers of all shapes and sizes. Dry for a few days between the pages of a heavy book or in a flower press. If you don’t have time for the drying process, green leaves will also work however may not sit quite as flat on the page. Play around with the shapes of the leaves until you find a design that works. Glue leaves into place and add details such as eyes, arms or legs. 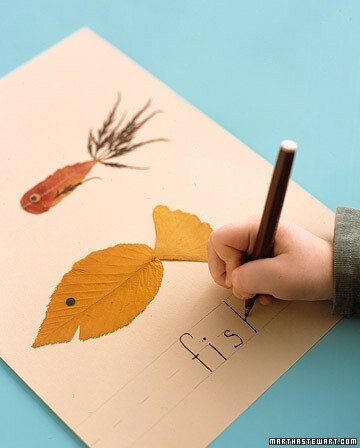 For older kids you can also introduce the writing element to this activity. And here is the not-so-express version … just in case you want to fill in the afternoon. 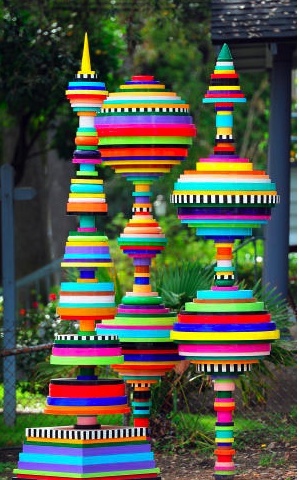 How fabulous do these look? Love. This will only take a sec! 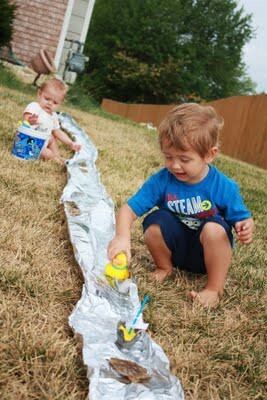 Grab your roll of aluminium foil, let the kids unroll a loooooong strip, shape it to accommodate a stream of water, add kids and some small boats, animals or cars and off you go! Easy peasy. With the weather warming up here, it’s a great time to get the little ones outside and soaking up some fresh air and sunshine. 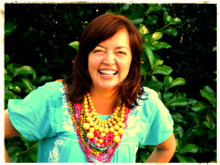 Here are some fab ideas to get you started, just in case you are having trouble coming out of hibernation. 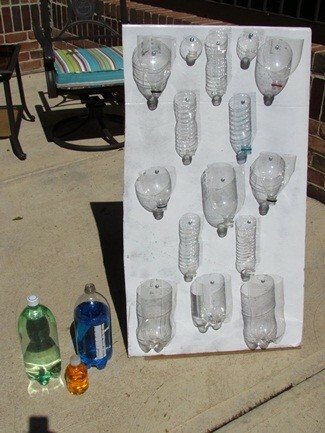 OK, so this home made kids car wash is the deluxe end of DYI but we have lots of easier projects too. 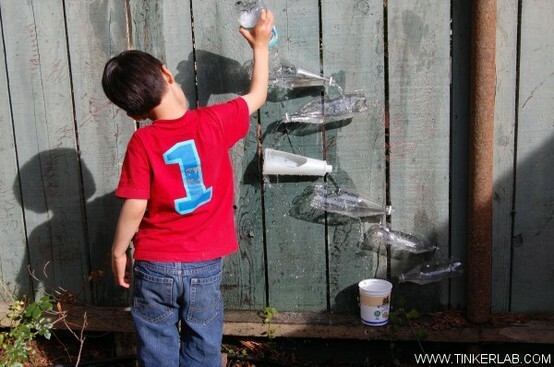 All you need for this one is some chalk, a spray bottle of water and a suitable surface. 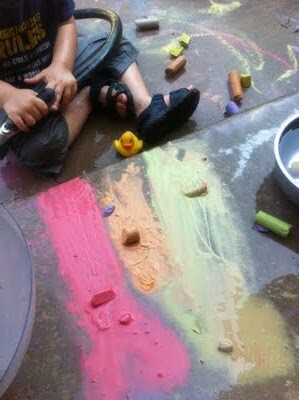 Chalk keeps my kids entertained for hours. These water walls are both fun to make and use. You can find the tutorial for the first one here. 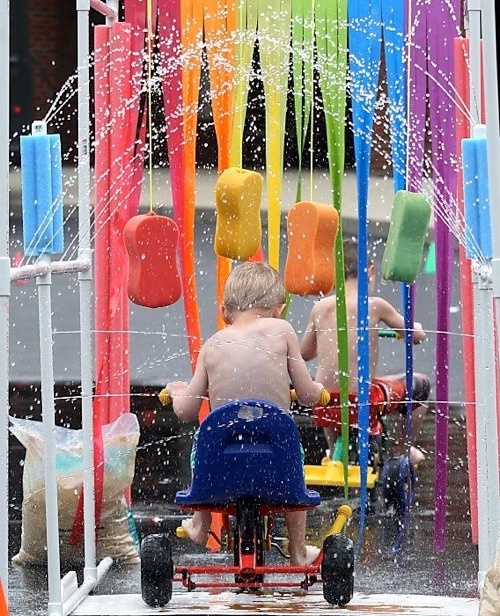 Such a cool way to explore with water! 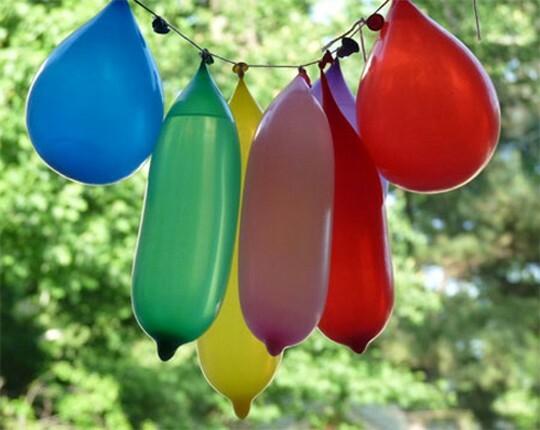 And last but not least (because these two are the absolute easy peasiest ideas you will find! 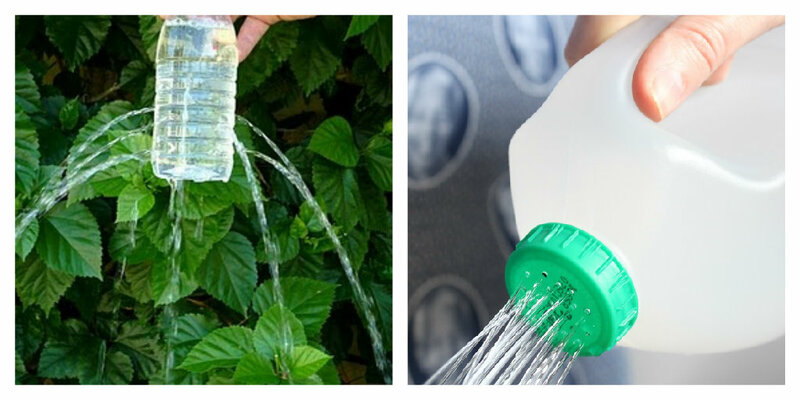 ), these recycled milk or drink bottles will keep little ones happy AND they can help water the garden for you. Everyone’s a winner! you know how we love loo rolls? 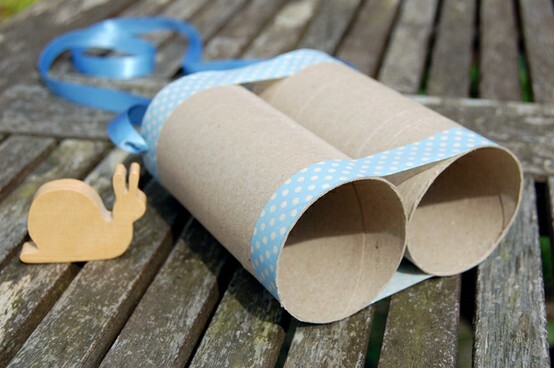 Check out these little gems made from two loo rolls and some ribbon. 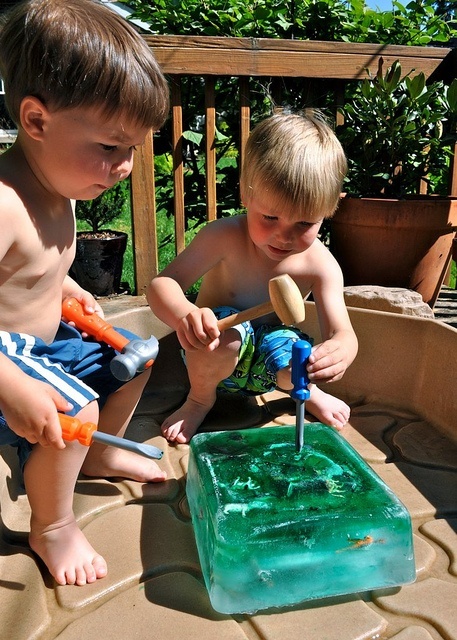 Imagine the adventures, both indoor and outdoor, your little one will have with these?